Acting is just like football, basketball, soccer, baseball, volleyball and so many other sports. You have to tackle your problems, block your fears and score your points when you get the opportunity. 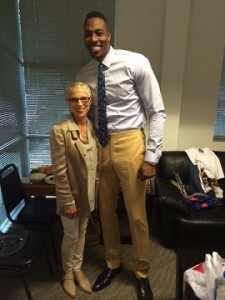 Dwight Howard (NBA Star) guest starred on “The Suite Life on Deck.” During rehearsals, Dwight told me that learning his lines was no different than learning his basketball plays. The same goes for singers who learn their songs and dancers who learn their steps. This is accomplished by practice, practice, practice. How do you practice? How can you actually learn your lines? Dwight Howard has a coach to assist and guide him… and you? You have Dray. Even though athletes are talented, they still have a coach. Even though you have a talent, you still need “Dray” to coach you, to answer all your questions, to show you how to improve “your game” and to be the best you can be… Most Valuable Player! For “Dray” to coach you, sign up for one of the following coaching sessions best suited for you! This option is perfect for parents asking Dray basic questions about the business. Dray will evaluate your child’s performance to determine their level and to identify specific next steps in their development, practice and training. 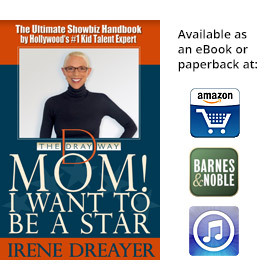 This option allows for parents to dig deeper into The Dray Way by being coached on various aspects of the business from how to navigate the show business world to understanding the direction and training required for their child. Whether you are at the start of a career or jump-starting an existing career, Dray will evaluate your performance. This 1 hour can also serve as an intensive working and training session to prepare for auditions, assess your child’s development and even build your child’s self-esteem. This option is ideal if you want your child to benefit most effectively from The Dray Way. 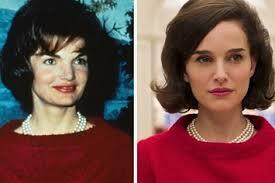 Dray works specifically on image, presentation & developing better acting and performance skills. Dray also coaches parents & kids more intensively to build their toolkit to handle the high pressure meetings, casting calls & auditions with confidence. 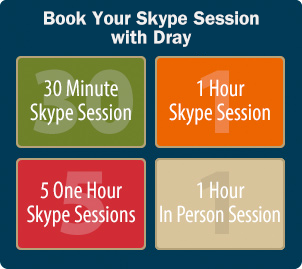 If you live in L.A. or the surrounding area, or you are planning a visit, consider an in-person session with Dray. And hugs are included!